Bahia Honda State Park is a popular day trip destination for those vacationing in Key West. Its pristine beaches, kayaking, and snorkeling activities are a draw to many. The uninhabited island is also a great place to check out wildlife, which are Bahia Honda’s only residents. Here’s a look at what to expect during your day trip to this peaceful state park. Located at mile 37 on the Overseas Highway, it takes about 45 minutes by car to get to Bahia Honda. If you’re in Key West without a transportation, we recommend renting a car for one day, which would cost significantly less than taxi fare to get there. From 24 North Hotel, you simply take Route 1 headed north until you see the sign for the park. Take a right – the beach is about a mile from the entrance. Bahia Honda is said to have some of the best nearshore snorkeling in the Florida Keys, with queen conch, lobster, tropical fish, nurse sharks, and soft corals. Snorkel gear is available for day rental, or you can bring your own. Make sure to ask the folks working at the rental desk for recommendations on where to see the most activity and they’ll point you in the right direction. Boat snorkel trips are also available for those interested in exploring the fabulous Looe Key, part of the Florida Coral Reef, located 12 miles offshore of the park. Tour prices start at $30 per person. Daily boat departures are at 9:30 am, 1:30 pm, and/or 4:45 pm. Remember to not touch any corals or feed the marine life, as they’re delicate, protected, and we’ll want them around for forthcoming generations. Read more about reef-friendly practices here. Kayaking is a nice way to explore the surrounding waters of Bahia Honda. You can paddle off on your own and discover birds and marine life you won’t see so close to the beach. Single and double sit-on-top kayaks are available for rental, either by the hour or half-day. Note: since Hurricane Irma, some amenities at Bahia Honda are limited. Call ahead of time to check for daily park activity updates at (305) 872-3954. 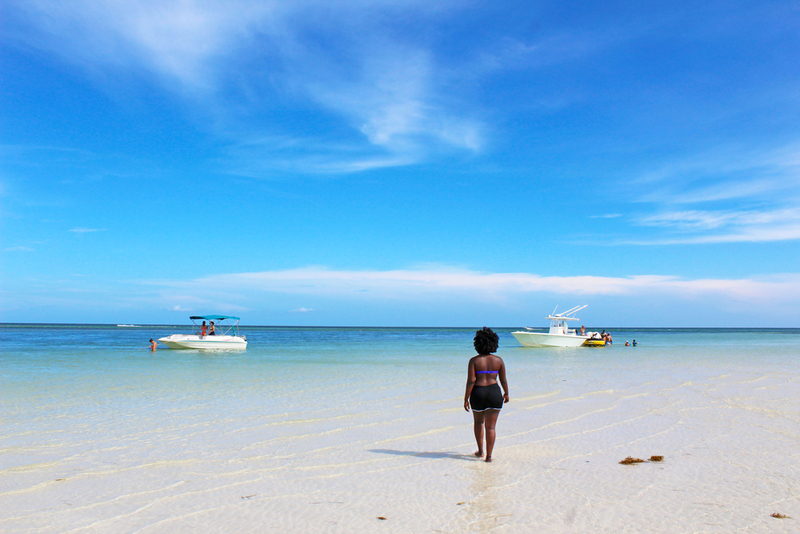 The award-winning beaches at Bahia Honda are inarguably the best in the Florida Keys. Beach rental equipment is available at the park, such as umbrellas and chairs. Food concessions and bathrooms are also available nearby. Bahia Honda is open from 8 am until sunset, 365 days a year. We recommend arriving early if you plan on snorkeling, as gear is due back around 4:30 pm. As of Fall 2018, admission was $8.50 per vehicle, with a limit of eight people per vehicle. A surcharge of fifty cents per person is applied. Make sure to bring cash! Single-occupant vehicles and motorcycles are charged $4.50 for entry.